2. The appellants, who have been arraigned as accused in sessions case being S.C. No.90 of 2015 arising out of Crime No.118 of 2015, registered at Raichur Rural Police Station for the offences punishable under Sections 143, 147, 148, 323, 302, 504, 114 read with Section 149 of the Indian Penal Code (IPC) after being taken into custody, in the course of investigation being aspirant for obtaining liberty, preferred an application under Section 439 of the Code of Criminal Procedure (Cr.P.C. ), that is, Criminal Misc. No. 457 of 2015 in the court of Principal Sessions Judge at Raichur, which stood dismissed. 3. Being grieved by the aforesaid order of rejection for grant of bail, the accused-appellants moved the High Court of Karnataka at Kalaburagi Bench in Criminal Petition No. 200629 of 2015. The High Court adverted to the deadly weapons that were carried by the accused persons, the nature of injuries sustained on the vital parts by the deceased and the allegation of specific overt acts, and rejected the application. 4. Thereafter, a second application for grant of bail was moved by the appellants before the Principal Sessions Judge at Raichur, that is, Criminal Misc. No. 791 of 2015. It was contended before the learned trial Judge that as, in the meantime, the investigation had been completed and the charge-sheet had been filed, there had been a change of circumstance and hence, they were entitled to be admitted to bail. That apart, certain grounds pertaining to ailment of some of the accused persons were highlighted. The learned trial Judge, as is evident, referred to the allegations made in the F.I.R., the materials that had come on record during the investigation and the postmortem report and considering all other relevant aspects, declined to enlarge the appellants on bail. It is worthy to note here that though a ground of parity was urged on the base that the accused Nos. 4 to 7 had been released on anticipatory bail, the same did not impress the court and accordingly the inevitable result, the dismissal, followed. 5. The aforesaid order of dismissal constrained the appellants to move the High Court in Criminal Petition No. 200944 of 2015. The High Court vide its order dated 23rd September, 2015, after referring to the nature of alleged assault by the accused persons, the type of injury sustained by the deceased and considering the pertinent facts did not accede to the prayer for grant of bail. 6. Being grieved by the aforesaid order, the appellants preferred Special Leave Petition (Criminal) No. 9858 of 2015, which was dismissed vide order dated 27th November, 2015. 7. The aforesaid narration of facts would give one the impression that the attempt of the appellants to be enlarged on bail was over unless some extraordinary circumstance could usher in which could be considered as change of circumstance, but as the chronology of events would show the indefatigable spirit of the appellants forced them to remain embedded in their stance for putting any stand as a change of circumstance for the purpose of grant of bail. We do not intend to mean even for a moment that the accused cannot move successive application for grant of bail. That is his right in law. Our emphasis is on the delineation by the Court. The said right invigorated with adroit efforts, resulted in filing of an application in S.C. No. 90 of 2015. As is evident from the record, the earlier bail applications were rejected by the Principal Sessions Judge, Raichur, but the third application was taken up by the learned Additional Sessions Judge, Raichur. 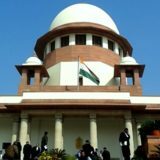 As the order would reveal, the learned trial Judge has thought it apposite to deal with the application as if he was dealing with the first application and copiously referred to the materials brought on record, referred to pronouncements in Sanjay Chandra vs. Central Bureau of Investigation and Siddharam Satlingappa Mhetre vs. State of Maharashtra and others and commented on the delay in trial and, eventually, released the appellants on bail on certain conditions. 8. The enlargement of bail to the accused persons, as it seems, did not affect the prosecution. The State of Karnataka chose to maintain silence and did not think it appropriate to assail the order. 9. The informant, who has crossed six scores and five, lost his son in an unfortunate and brutal circumstance, moved the High Court in Criminal Petition No. 200768 of 2016 under Section 439(2) Cr.P.C. seeking cancellation of bail. 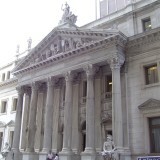 The High Court while dealing with the application, adverted to the allegations in the F.I.R. The nature of allegations, being significant, deserves to be adverted by us. It is alleged in the F.I.R. that the accused-appellant No.1, had a daughter named Basavarajeshwari who fell in love with the deceased Anand Sagar, the son of the informant, who belongs to “Uppar” community and the accused belongs to “Lingayat” community. The deceased, Anand Sagar, had eloped with the daughter of the accused No.1 in the year 2014 and at that juncture, an F.I.R. was registered filed by the accused to that effect. As the narration would further unroll, the couple left the village, entered into wedlock and thereafter started residing at Bengaluru and later on at Bellary. On 17th May, 2015, the deceased, Anand Sagar, had come to his native place Yeramarus and had gone to Raichur on the motorbike of his father. When he returned to Yeramarus at 9.30 p.m. and reached near the bus stop, the accused persons assaulted him with weapons and he breathed his last on the spot. After noting the facts and the injuries sustained by the deceased, the High Court also adverted to the attempts made by the accused persons to obtain liberty despite the same having been declined by this Court. It also came to hold that the spark of life of the deceased had been extinguished because he had dared to fall in love and get married to the daughter of the accused No.1, and ultimately opined that delineation by the learned trial Judge with regard to grant of order of bail, was absolutely perverse and, founded on irrelevant aspects. In view of the aforesaid premises, it allowed the application for cancellation of bail and set aside the order passed by the learned Additional Sessions Judge, admitting the appellants to bail. 10. We have heard Mr. Basava Prabhu S. Patil, learned senior counsel along with Mr. Anirudh Sanganeria, learned counsel for the appellants and Mr. V.N. Raghupathy, learned counsel for the respondent- State. Despite service of notice, no one has entered appearance on behalf of the informant. 11. It is submitted by Mr. Patil, learned senior counsel for the appellants that the High Court has erred in cancelling the order of bail as the appellants, after being enlarged on bail, had neither abused the freedom nor have they violated the terms and conditions of the bail order. It is urged by him that there is no allegation of tampering with the evidence or influencing any witnesses and therefore, there was no justification for cancellation of the order of granting bail. Learned senior counsel would further contend that the analysis made by the learned trial Judge for the purpose of grant of bail cannot be regarded as perverse and he has correctly relied upon the pronouncements as is noticeable from his order. It is put forth by Mr. Patil that at such distance of time not to admit the appellants on bail and give the stamp of approval to the order cancelling the bail by the High Court, would not sub-serve the cause of justice. 12. Mr. Raghupathy, learned counsel appearing for the State, per contra, would submit that the learned trial Judge should not have entertained the prayer for bail after this Court has special leave petition for the same relief. It is his submission that the High Court has correctly opined that there is perversity in the approach by the learned trial Judge while dealing with the application under Section 439 Cr.P.C. and hence, it deserved to be set aside. 14. The proposition expounded above, has to be accepted, but that has to be applied appositely to the facts of each case. A bail application cannot be allowed solely or exclusively on the ground that the fundamental principle of criminal jurisprudence is that the accused is presumed to be innocent till he is found guilty by the competent court. The learned trial Judge has also referred to the decision in Sanjay Chandra (supra), wherein a two-Judge Bench while dealing with bail applications, observed thus:- “21. In bail applications, generally, it has been laid down from the earliest times that the object of bail is to secure the appearance of the accused person at his trial by reasonable amount of bail. The object of bail is neither punitive nor preventative. Deprivation of liberty must be considered a punishment, unless it can be required to ensure that an accused person will stand his trial when called upon. The courts owe more than verbal respect to the principle that punishment begins after conviction, and that every man is deemed to be innocent until duly tried and duly found guilty. 22. From the earliest times, it was appreciated that detention in custody pending completion of trial could be a cause of great hardship. From time to time, necessity demands that some un-convicted persons should be held in custody pending trial to secure their attendance at the trial but in such cases, ‘necessity’ is the operative test. In this country, it would be quite contrary to the concept of personal liberty enshrined in the Constitution that any person should be punished in respect of any matter, upon which, he has not been convicted or that in any circumstances, he should be deprived of his liberty upon only the belief that he will tamper with the witnesses if left at liberty, save in the most extraordinary circumstances. (i) whether there is any prima facie or reasonable ground to be believed that the accused had committed the offence. 19. In this context what has been stated by a three-Judge bench in Dinesh M.N. (S.P.) v. State of Gujarat is quite instructive. In the said case, the Court has held that where the Court admits the accused to bail by taking into consideration irrelevant materials and keeping out of consideration the relevant materials the order becomes vulnerable and such vulnerability warrants annulment of the order. 20. In the instant case, as is demonstrable, the learned trial Judge has not been guided by the established parameters for grant of bail. He has not kept himself alive to the fact that twice the bail applications had been rejected and the matter had travelled to this Court. Once this Court has declined to enlarge the appellants on bail, endevours to project same factual score should not have been allowed. It is absolute impropriety and that impropriety call for axing of the order. 21. That apart, as we find from the narration of allegations from the order of the High Court, it is not a case where the trial court could have entertained a bail application by elaborate dissection of facts and appreciation of statements recorded under Section 161 Cr.P.C. The gravity of the crime should have been taken note of by the learned trial Judge. The deceased and his wife (the daughter of the accused-appellant No.1) were staying in peace away from the acrimonious community, but due to some kind of “misconceived class honour”, the vengeance reigned and awe for law went on a holiday. They thought that their perception mattered and as alleged, they put an end to the life spark of the young man. The choice of the daughter was allowed no space. Her identity was crushed and her thinking was crucified by parental dominance which has roots in an unfathomable sense of community honour. Though the lovers became fugitive, the anger founded on anachronistic values prompted the accused persons to annihilate the life of a young man. In such a situation, the factors that have been highlighted by this Court from time to time were required to be adverted to and the accused persons should not have been granted liberty on the grounds that have been thought appropriate by the learned trial Judge. The perversity of approach by the learned Additional Sessions Judge, who has enlarged the appellants on bail, is totally unacceptable. It is reflective of sanctuary of errors. In such a situation, we are obligated to say that the High Court has performed its legal duty by lancinating the order passed by the learned trial Judge. 22. Consequently, the appeal, being sans merit, stands dismissed. As we have dismissed the appeal, the appellants shall surrender to custody forthwith and it will be the duty of the trial Judge to see that they are taken into custody. Needless to say, whatever we have stated in the present judgment, is only confined to the defensibility of the order passed by the High Court cancelling the bail granted by the learned Additional Sessions Judge and shall not weigh in the mind of the learned trial Judge for the purpose of the trial as that shall depend upon evidence to be adduced during the trial.